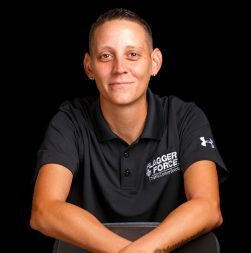 Currently a Safety Advocate for the Pittsburgh Operations & Training Facility, Tyler Orazio has taken the opportunity to advance within Flagger Force through mentorship and leadership. 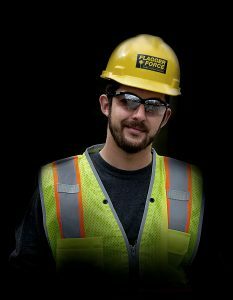 He has worked closely with the Quality and Safety Departments to provide safe, quality work zones to our clients in Western PA. Tyler took some time to talk with Flagger Force recently to share his experience with advancement within our company. Flagger Force: Tyler, we appreciate you taking the time to talk to us. How long have you been in your current role as Safety Advocate? Tyler: I took the position around November of 2015. After being with Flagger Force for a little over seven months, I saw that there were a lot of opportunities for growth. It was a big shift to advance from a Crew Member to Crew Leader, but the branch staff and safety departments really believed in me and provided me the guidance to be successful in the field. 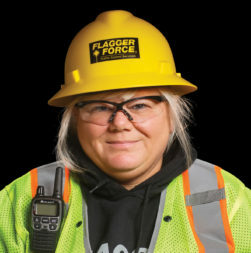 Flagger Force: What about the Safety Advocate position caught your eye to apply for it? Tyler: When I was an Advanced Crew Leader, I took a lot of time to work with my partners to offer advice and insights from my experience. I really liked the idea of becoming a resource to help more people at Flagger Force as a Safety Advocate. Flagger Force: What responsibilities do you have as a Safety Advocate? provide guidance to our field employees on setups and situations that may arise in the field. Flagger Force: Do you enjoy the site visits? Tyler: Yes, I do! It is a great opportunity to meet some of the new Crew Members and to share my experiences with them. I spend some of my site visits answering questions that the field employees have, such as ones about taper length or parking of vehicles, but I really like the fact that people ask questions. Everyone should be prepared to provide good answers to questions that a client may have in the future. Clients are very impressed with our field employees’ knowledge. Flagger Force: When you are on site visits, what are some of the good and bad things you see? Flagger Force: What advice do you have for someone who is thinking about advancing their career with Flagger Force? Tyler: I always recommend asking questions and learning from the people around you. Your partners can teach you a lot through their experiences, because you can’t learn it all in a book. Flagger Force: When you are not traveling throughout the Pittsburgh region, what are you doing? Tyler: Well, I’ve been wedding planning with my future wife. More like she is doing the planning, but it’s a fun experience and I’m looking forward to the big day in December!